Until Apartheid was dismantled in preparation for the advent of the first democratic elections after which Nelson Mandela assumed the Presidency of South Africa little was known about the vibrant culture of the ‘Rainbow Nation’. It is true that Paul Simon made a seminal recording –Graceland- when he travelled to South Africa in 1986, but that recording did not even begin to scratch the surface. From 1960, under the brutal Apartheid state, and after the Sharpsville massacre, authorities had banned gatherings of ten or more people so it was hardly likely that a musician could even assemble a band to perform, let alone find an audience to perform to. And although musicians such as Abdullah Ibrahim (Dollar Brand), Miriam Makeba and Hugh Masekela among others in secret kept the art of South African music alive the world really had to wait until independence in 1994 to discover South African music. It was not long after that when the new generation of South African artists began to spread the vibrant culture of their country’s art across a world hungry for its splendour. Lorraine Klaasen is one of that ‘new generation’ of South African artists. The daughter of the legendary musician Thandie Klaasen a musician of considerable repute in South Africa, but not really well-known outside that country. 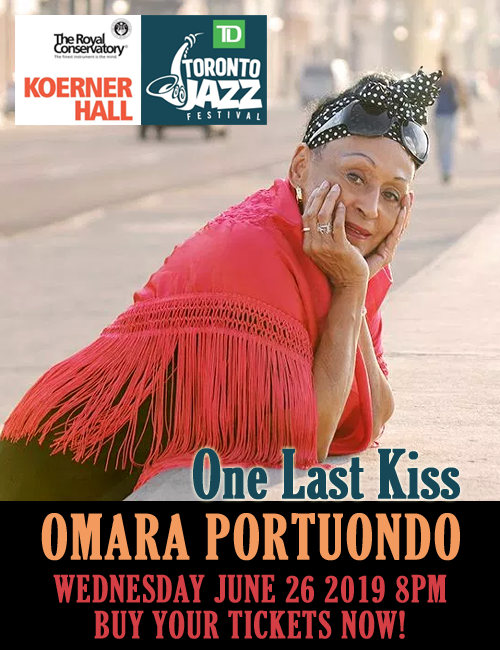 It was from her famous mother that Lorraine Klaasen inherited her artistic abilities including her wondrous musicianship. Performing worldwide, Klaasen has helped foster a new appreciation for ‘Township Music’ that had been kept alive by her mother, Dolly Rathebe, Dorothy Masuka, Sophie Mgcina and Busi Mhlongo and others like them. Living in Montreal, Canada, it was only a matter of time when a major label would give her career a new set of wings. Justin Time has since released three of Klaasen’s classic recordings, the most recent is Nouvelle Journée, which features a burst of exciting, visceral music performed in several South African dialects as well as in French and English. Lorraine Klaasen is, predictably, the queen of the ball with her poised, silken and sensuous mezzo voice. This recording convinces from the start, with the superb ‘Nouvelle Journée’ written by Mongezi Ntaka, a composer, musician and producer of great repute, who was brought in once more to bring Klaasen’s album to fruition. The clarity and diction of Klaasen’s gorgeous voice impresses hugely and it is a pity that we cannot see (as well as hear) her performing these songs. The musical standard nearly equals some of Miriam Makeba’s best work. The fascinating music of Nouvelle Journée is brilliantly paced by Ntaka. 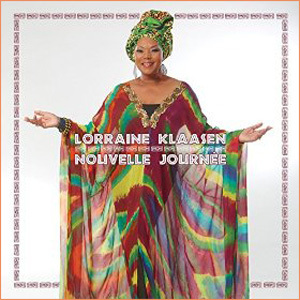 Lorraine Klaasen indulges in the extremely intense, and lyrical, music ever-lovingly. Her group sounds infallibly gorgeous. The balances are superb, thick-textured and vivid by a band that warmly embraces a vocalist with equal enthusiasm. 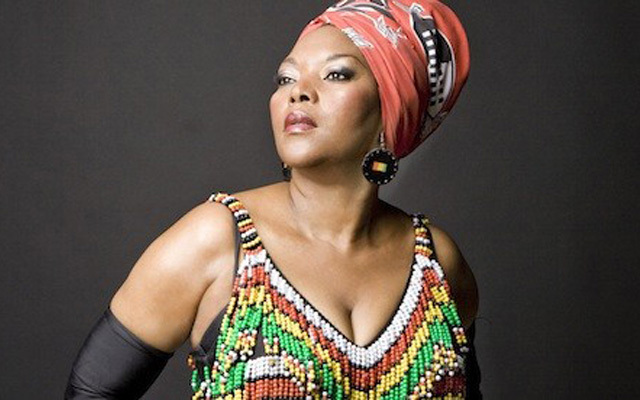 Through it all Lorraine Klaasen reigns supreme, with vocal gymnastics and tonal colours that bring to life everything that Nelson Mandela’s ‘Rainbow’ nation stands for and then some. Switching from South African dialects to French and then English with utter ease, Klaasen shows great sensitivity for the nuances of each of the languages, working her way into the whimsies of each one with ease. In the end the listener can enjoy a truly memorable musical experience for this is an electrifyingly energetic record; romantic in the grand sweeping swashbuckling sense with everything emerging lustrous, intense and vivid. Track List: Nouvelle Journée; Ke Tshepile Bafatsi; Nome Sweet Home; Township Memories; Polokwane; Izani Nonke; Make It Right; Babalazi; Where To Now; Thulandivile. Personnel: Lorraine Klaasen: lead and background vocals; Mongezi Ntaka: electric and acoustic guitar; Noel Mpiaza: drums, percussion, backing vocals; Assane Seck: electric and acoustic guitar, background vocals; Sebastian Andre Whiteman: electric bass guitar, background vocals; Cédric Dind-Lavoie: acoustic bass; Ross Whiteman, Cynthia Binette, Melissa Gresseau, Anne Metellus: background vocals.